After sustaining injuries and other losses in a car accident, some crash victims may hope to save money on legal fees by negotiating their own settlement with the insurance company. While it is technically possible for car accident victims to negotiate with an insurance adjuster directly, doing so can put them at a serious disadvantage. For crashes involving only minor injuries and property damage—and in which fault is not disputed—it may be possible for victims to negotiate a fair settlement with the insurance company . For all other types of car accidents, there is simply too much at stake. 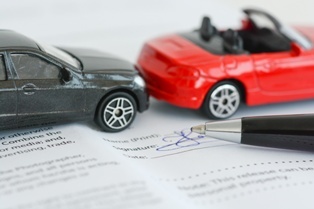 It is common for car accident victims to trust the insurance company to handle their claim fairly. However, this is a huge mistake. Insurance companies are businesses and, like most businesses, their primary concern is profitability. Insurance adjusters are encouraged to do whatever they can to guard the company's profit margins, including reducing financial obligations to claimants by pushing them to accept low-ball settlement offers. Simply put, insurance adjusters have essential training that most accident victims lack. Not only do insurance adjusters have extensive negotiation training and experience, they are also adept at calculating the worth of a claim. The imbalance of negotiation skills and experience can complicate the negotiations process for accident victims, who may not even be able to tell if the settlement offers they've received are the fair and worth consideration. If you were injured or sustained property damage in a Wilmington, DE car crash that wasn't your fault, you may be entitled to compensation. Don't let an insurance adjuster convince you to accept a settlement that is less than what you deserve. The experienced car accident attorneys with the Morris James Personal Injury Group can help you explore your legal options and fight for a fair settlement. Contact the Morris James Personal Injury Group today to schedule an appointment for a free, no-obligation initial review of your car crash case.